Home > Publication Summary > Special Offers & Deals on NFL GAME TIME @ New York Pizza Pasta !! 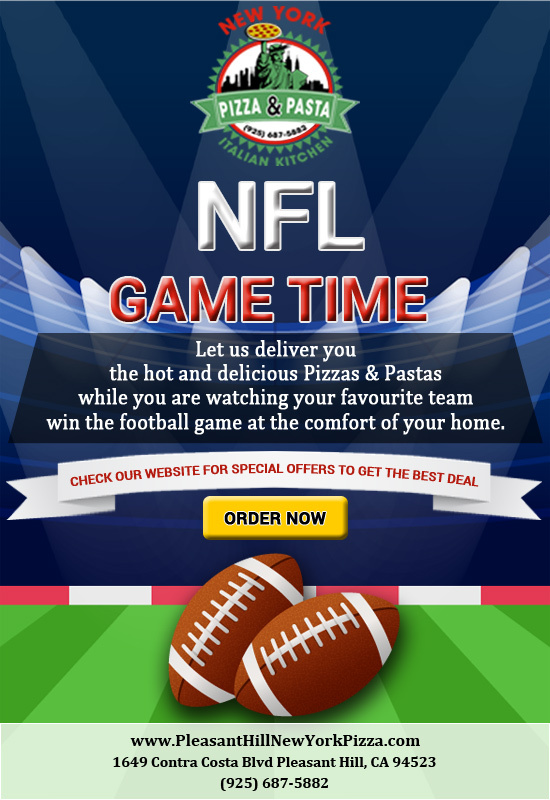 Special Offers & Deals on NFL GAME TIME @ New York Pizza Pasta ! !